Since 2012, BRTdata.org has provided up-to-date information on bus rapid transit systems (BRTs) in more than 200 cities, from passenger data to coverage and costs. Developed in partnership with the Centre of Excellence for Bus Rapid Transit, International Energy Agency and Latin American Association of Integrated Transport Systems and Bus Rapid Transit, the site is the most comprehensive online database of bus corridor systems available worldwide. 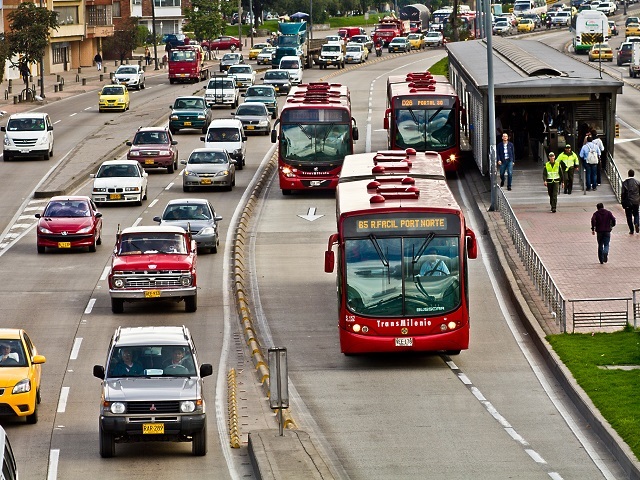 But over the years, the criteria used to classify BRT systems has undergone changes. In an effort to maintain consistency, WRI is making changes to align its corridor definition with the benchmarks and quality standards established by the Institute for Transportation and Development Policy. Implemented for the first time in Curitiba, Brazil, BRTs have the capacity to transform cities by improving public transit at relatively small cost, reducing harmful carbon emissions and increasing productivity. BRTs are already present in cities on five continents, and BRTData.org was created in part to track its spread and various implementations. As its grown, however, a need to establish stricter quality standards has become apparent, as recognized by the BRT Standard Technical Committee. Following their recommendations, from now on, BRT corridors will be defined as one or more contiguous lanes served by one or multiple bus lines with a minimum length of three kilometers that has segregated or exclusive bus lanes. If the segregated lane is aligned to the curb, at least one of the following elements must be present: (1) prepayment of the tariff; (2) priority traffic signaling; (3) a boarding level or (4) a unique brand and logo. These changes resulted in the exclusion of a total of 96 systems/corridors from BRTData.org. The new database accounts for 356 registered corridors in 164 cities totaling 4,811 kilometers of infrastructure. All these networks benefit 32 million passengers per day. For cities, it is important to have widely applicable standards that make comparisons and performance indicators meaningful. Quality of service can also be better verified by following clearly defined parameters. The BRT TransOlímpica corridor in Rio de Janeiro, for example, underwent an evaluation earlier this year and received a silver rating from the BRT Quality Standard Technical Committee. Implemented as part of the Rio de Janeiro commitments to host the 2016 Olympic Games, TransOlímpica has 17 stations spread over 26 kilometers and meets a daily demand of 40,000 passengers. The assessment serves not only as validation but points to things to improve as well. But even beyond improving individual systems, the standards have the potential to help planners replicate the most effective approaches in cities without BRTs. By following this standard, BRTData.org will enable more accurate research and continue serving as the most comprehensive hub of BRT data worldwide.